The momentum keeps on building. The Hitmen are right back in action Wednesday night to take on the Swift Current Broncos looking to extend the win streak to four games. 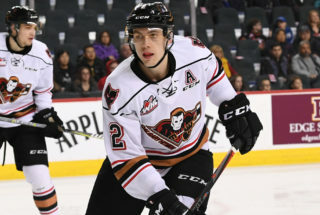 Winners of nine of their last 12 games, the Hitmen were in action Tuesday in Regina which saw them come out on top with a 5-2 victory. Mark Kastelic and Carson Focht both scored a pair while Kaden Elder chipped in with three assists to lead the visitors to victory. James Malm scored the other marker and Jack McNaughton ended with 21 saves to earn his 18th win of the season. 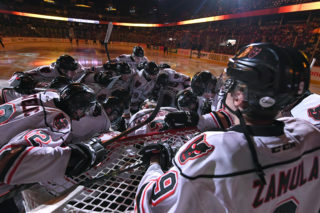 Wednesday is the second of four regular season meetings between the Hitmen and Broncos. Calgary took the opener at the Scotiabank Saddledome recording a 3-2 win in early December. The tilt will also be a homecoming for Elder as it’ll mark his first game in Swift Current following a trade to the Hitmen earlier this season. 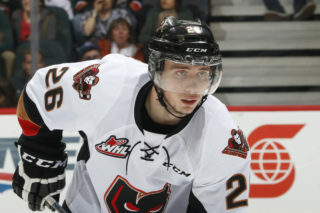 The 20-year-old won a WHL Championship with the Broncos last season. Swift Current comes into the game fresh off a 5-4 overtime victory over the Saskatoon Blades Saturday to split a home-and-home set which saw them drop the first contest 5-2 last Friday night. In their last ten, the Broncos have gone 3-7 with two wins in their last seven contests. As the Hitmen get set to wrap-up the mini road swing, they’ll look to decrease the gap between them and both Lethbridge and Medicine Hat. “We need to keep up the pace we’re going at right now,” McNaughton said. “Our division is really tight and we know that we need to take care of business. 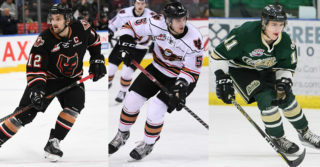 Friday night will see the Hitmen begin the Corral Series presented by Adrenalin Source For Sports against Brandon which will see the Hitmen wear Calgary Centennials jerseys. James Malm (2G, 3A) is riding a five-game point streak. Cael Zimmerman (1G, 2A) has points in three consecutive games. Kaden Elder (1G, 3A) and Vladislav Yeryomenko (1G, 1A) have points in back-to-back games. Jack McNaughton is 3-0 in his last three starts with a 1.33 goals against average and a .950 save percentage. Egor Zamula needs three assists for 50 while Carson Focht is five assists away from 50. Riley Stotts is five points short of 100. 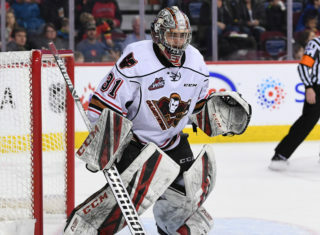 Jack McNaughton is 59 saves away from 1,000 in his WHL career.